Banks can change interest or profit rate only once a month from the next month, said Finance Minister AMA Muhith. Presenting the national budget for 2018-19 at the Jatiya Sangsad on Thursday, he said changing in the rate of interest or profit on deposits and loans can be done only once in a month which should be mandatorily published in bank’s own the website, reports the UNB. The Finance Minister also mentioned a number of measures taken by the government as part of reform programme in the financial and banking sector. He said banks will limit the weighted average of interest rate spread between loans and deposits to 5 per cent while they will limit the loan application fee to Tk. 200 for cottage, micro, small and medium entrepreneurs (CMSMEs) and not apply any charge for adjustment on maturity of loans. Muhith said the government measures include operating support funds for affected small investors in the capital market, launching specialised software for monitoring large loan default, issuing guidelines for fair agent banking and limiting the balance amount at maximum Tk 3 lakh in a single person’s mobile account in the case of Mobile Financial System (MFS). Establishing customer service centre in Bangladesh for disposal of complaints about banking services; issuing directives for adopting highest cautionary measures for prevention of terror financing through banks; and monitoring large loans and strengthening the monitoring arrangements of banks and financial institutions by putting in place Central Database for Large Credit (CDLC) are included in the reforms measures. In many cases, he said, same land and property are used as collateral for getting bank loans. 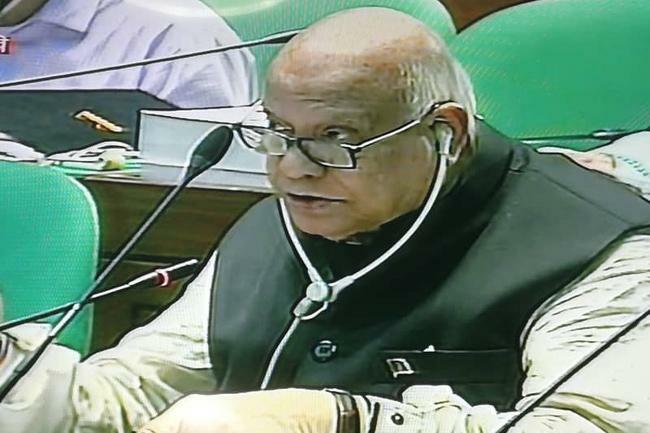 For preventing these fraudulent practices, Muhith said, a database containing information on collaterals used against all types of loans will be maintained in Financial Institutions Division. The system will be effective from next year so that any person or institution can verify this information.